First things first, I’m the realest I’m back from Italy! I actually arrived yesterday... but whatever. 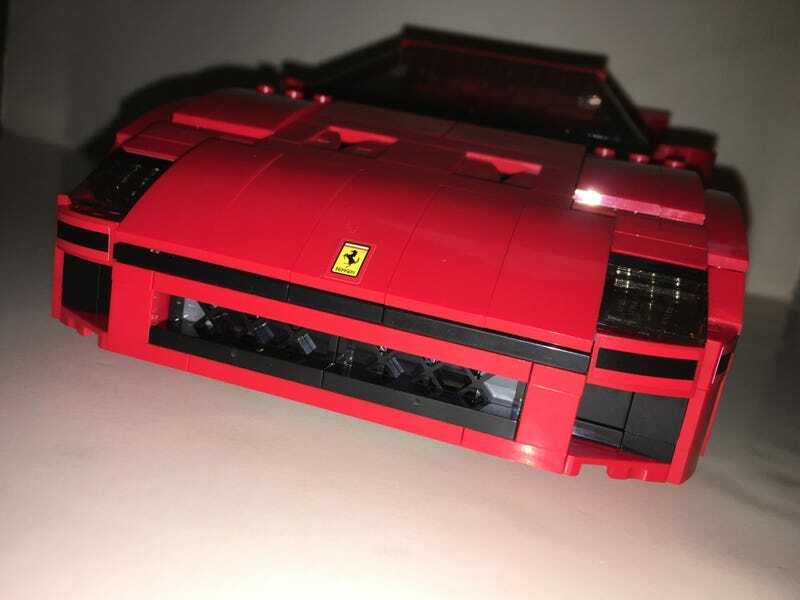 So I bought this Ferrari F40 at the Ferrari Store in Milan for 85€ (76€ after tax rebate). Good deal, right? By the way, I need to get a better photo setup than my iPhone and a poster board. Here’s the engine. Very well detailed; in my opinion a work of art itself. Hubcaps to match the timeless F40 wheel design. Adjustable, bolstered and detailed seats. And a suggestion from Alex B., the Hoodrari ™. The build took me 3 hours and was very fun. I recommend this build for any Ferrari lover that's a child at heart!